i) Graduation degree Required in any stream. ii) Must have 05 years of experience as Office Superintendent and working knowledge of Govt. rules and regulation. Must have a B.Sc. degree in Medical Lab. Technology. Those who have a B.Sc. degree and after that completed Diploma in Medical Lab. Technology can also apply. B.Sc. Medical Technology (X-ray) / B.Sc. Medical Technology Radiology / B.Sc. 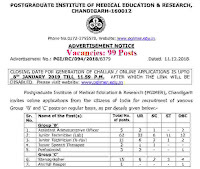 Medical Technology Radiodiagnosis / B.Sc. Medical Technology Radio-diagnosis & Imaging Technology. i) B.Sc. Degree from a recognized University. ii) Certificate in Perfusion Technology (awarded by recognized Institution/ Association/Authority (such as Association of Thoracic and Cardio Vascular Surgeons of India) after a training in a centre with at least one year experience in Clinical Perfusion. i) Those who have passed in their 12th class examination. ii) Must have the Steno speed of 80 w.p.m. in Stenography (English or Hindi) with transcription time of 50 minutes (English) or 65 minutes (Hindi) on the computer. ii) 2 years’ experience in breeding and keeping of animals preferably in a medical or research Institution. Paying Method: Candidates can pay the Examination Fee through Debit Card, Credit Card, Net Banking. There is no other way for the payment of the application fee. 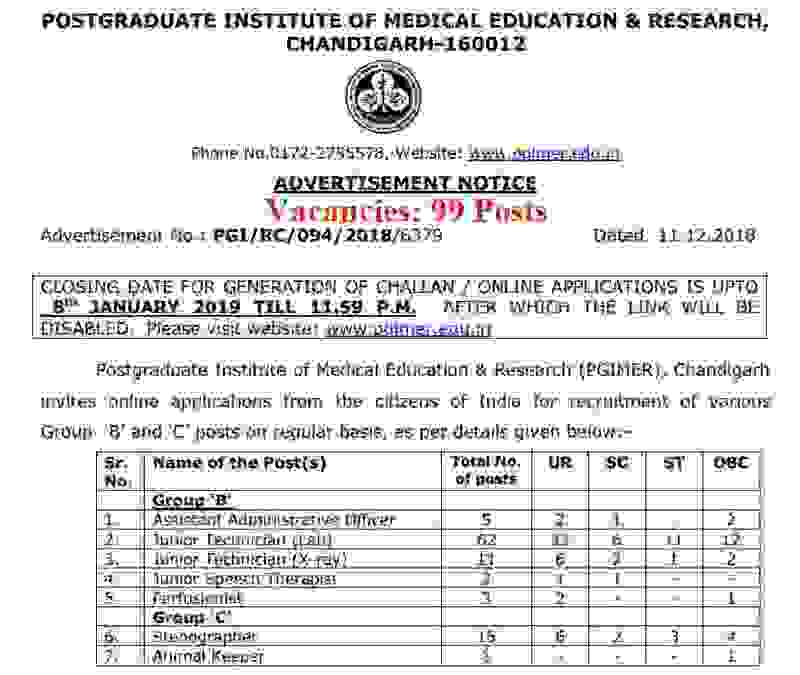 8th Jan. 2019 is the Last Date to apply.